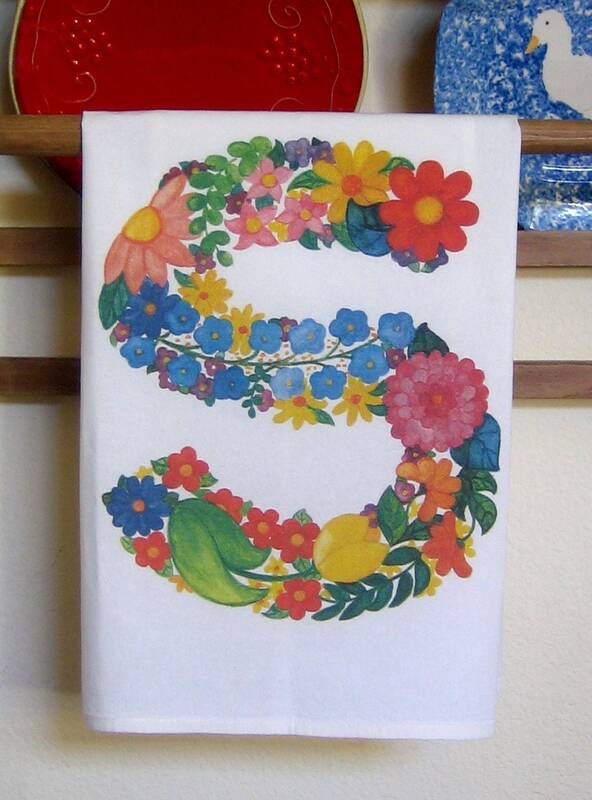 Letter "S" Flower Monogram Kitchen Towel digitally printed from high resolution scan of original watercolor. Towel is 100% cotton, nice quality, nice weight, large (30x30), and letter (about 9" across) is printed center, bottom edge. Other available letters are -A. B. C. D. E. M. More later.